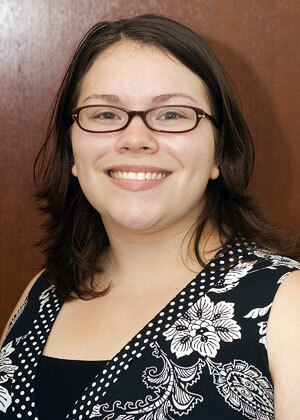 Senior psychology major Nicole Lozano was appointed by Gov. Rick Perry earlier this month to serve as the student representative on the Texas State University Board of Regents. Effective June 1, Lozano will become the third student regent since Perry signed legislation creating the role in 2005. She replaces SHSU economics and international business major Magdalena Manzano, making her the second student regent from SHSU in a row, which raises “the bar for other universities under the TSUS system,” she said. “Theoretically, it’s supposed to be (appointed) on a rotating basis (of all the universities in the system),” said vice president for Student Services Frank Parker. “To have two students in a row speaks highly of the quality of our students at Sam Houston State University, and I could not have been more proud of the things Maggie accomplished. “We’re real proud of her, and we’re real happy to see her in that role,” he said. While the student regent position is a non-voting one and she will not be counted for quorum, the Austin native “plays an important role in the decision-making process,” Parker said. “They do listen to the student regent whenever that student regent comments,” he said. Active both on and off campus, Lozano is community coordinator for New Life Housing, a member of the Ronald E. McNair Post Baccalaureate Achievement Program, Phi Theta Kappa and Golden Key International Honor Society, is an advocate and children’s worker for the SAAFE House and volunteers with various other organizations in the community. A proponent of undergraduate research on campus, she recently organized SHSU’s first undergraduate research symposium, “which we feel was a huge success for a first ever,” she said. Parker said a true testament to her qualifications was in her filling out a 22-page application to compete for the role, something that “probably prevents a lot of students from doing that. Lozano was selected for the position by Perry after a lengthy process that included filling out an application, being recommended by the Student Government Association, interviewed by Parker and university President Jim Gaertner, being selected as a finalist by TSUS office and being interviewed with the appointments secretary in the Governor’s Office. After graduating next year, Lozano said she plans to pursue a doctorate in counseling psychology and would eventually like to open her own practice and teach as an adjunct faculty member.